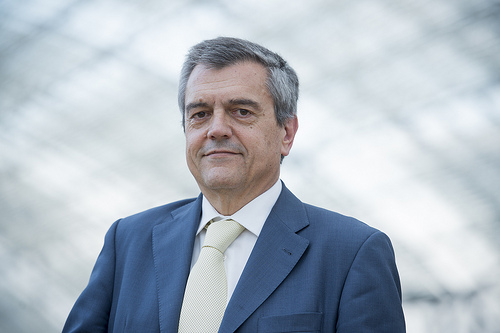 Paris/Leipzig, 3 May 2012 – Professor José Manuel Viegas, one of our members, has been chosen as Secretary-General-elect of the International Transport Forum, an intergovernmental organisation within the OECD family that acts as a global transport policy think tank. At their Annual Summit in Leipzig (Germany), Ministers from the 53 member countries of the Forum chose Viegas as the next chief executive of the organisation. Viegas is expected to take up office this summer, taking over from Michael Kloth of Germany, who led the Forum as Acting Secretary-General since November of last year. Professor Viegas comes to his new leadership position at the International Transport Forum from an internationally recognized career as an academic and consultant. He is a professor of civil engineering at the University of Lisbon and the chairman of Transport, Innovation and Systems s.a. (TIS.pt) a transport consultancy firm. Viegas has worked in all transport modes and with numerous international organisations. In his career, he has frequently launched and managed collaborative networks across different countries as well as across different economic sectors engaged in transport issues. Viegas has also been responsible for technical, organisational and financial innovations in his projects. He also has a long and distinguished history of collaboration with the International Transport Forum and its precursor, the European Conference of Ministers of Transport.